Time-travel stories open the entire world and all of time to writers’ imaginations. The fifteen writers in this third original anthology in the Fiction River line explore everything from Chicago gangsters to Japanese tsunamis, and travel from 2013 to the nineteenth century to a vast future. 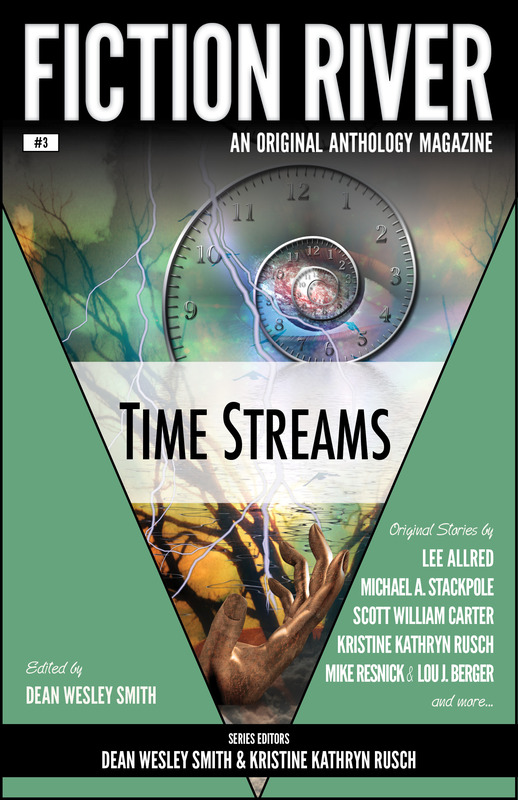 Featuring work from award winners to bestsellers to a few newcomers whose time will come, Time Streams turns the time-travel genre on its head. Original stories by Lee Allred, Michael A. Stackpole, Scott William Carter, Kristine Kathryn Rusch, Mike Resnick & Lou J. Berger, Sharon Joss, Michael Robert Thomas, J. Steven York, D.K. Holmberg, Ray Vukcevich, Dean Wesley Smith, Jeffrey A. Ballard, Ken Hinckley, and Robert T. Jeschonek.